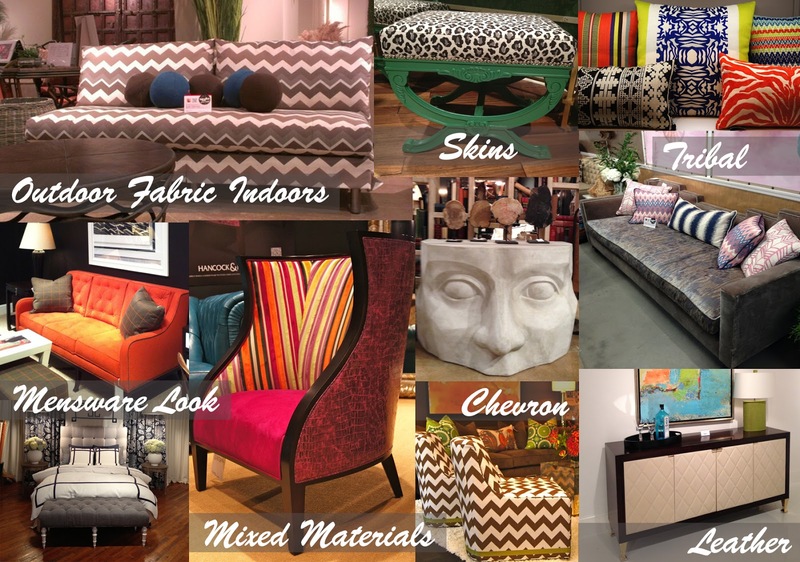 Stunning and sensational, the 2012 Fall Furniture Market notably exceeded expectations. Strolling through the showrooms, you would have seen exciting and dazzling new trends. 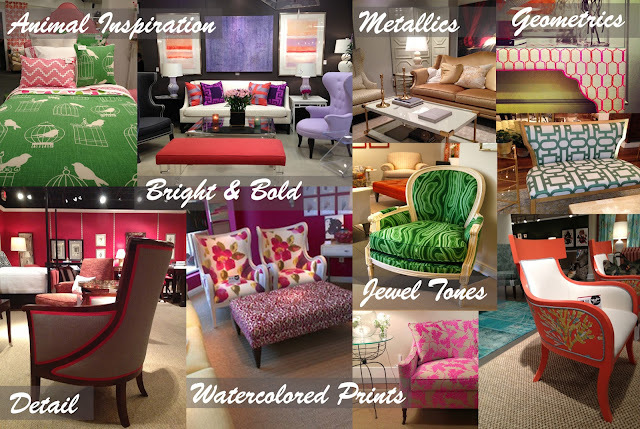 Bright, bold, and daring, the fabrics which were used paved new avenues for the design world. The ongoing trend of geometrics was prevalent in all of the top showrooms as well as fabrics in jewel tones of emerald, sapphire, and amethyst. Statement pieces inspired by exotic animals, watercolor paintings, and the shimmer of metallics called to onlookers in proud exhibition. Skins and fabrics originating from tribal inspiration lead the way. Found on throw pillows, footstools, and even body cloths at market, this upcoming exotic mania is sure to show up in celebrity and fashion forward homes in the near future. The growing color palette and textures available in the latest outdoor fabrics has made them prime candidates for chic and durable indoor use. This young trend as well as the juxtaposition of fabrics, leather, and other atypical materials on casegoods will soon be seen in the spotlight on a virtual red carpet.